Over the years, I have come to believe that all parents want to like their children. When they struggle with this, they blame themselves. I would like to reassure parents that struggling to like your children does not make you a bad parent; it simply means you are human. If we are really honest, I think most parents have had the feeling of not liking their child at some point. Falling in like with our children is not always an easy task. This is because our children are their own unique blends of personal qualities, and so they may or may not hit our particular sweet spot when it comes to likability. What do we do when liking our children is the biggest parenting challenge we face? Over the years, I’ve discovered some things that help parents give themselves and their children the gift of falling in like. • First, don't blame yourself for how you feel. We cannot help who we are drawn to and who we are not drawn to. Being aware of our reactions allows us to own them and then change them. Sometimes it takes an active choice to like a person, and our children are no exception. • Accept that your child is challenging for you. It does not make you a bad parent if you find your child to be difficult. Once you acknowledge that that's how you feel, you can begin to do the work necessary to overcome challenges and begin the process of falling in like. • Make a list of things you like about your child and things they do that you like. By making a list that focuses on the positive aspect of your child's personality, you can start to lay the foundation for a positive relationship. It can also show you how much work needs to be done. I find that the process of making the list requires us to search for the good and likeable qualities in our children. This process can bring about a profound change in the way we see our children. • Notice how your reactions influence you child's behavior. 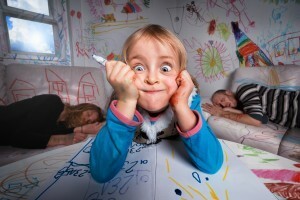 Most children are motivated by how much attention they want. Your child will engage in behaviors they think will draw you close or push you away, based on how much attention they want. Complicating matters further, your child may not know that positive attention feels ten times better than negative attention. When children connect with this fact, it causes a revolution for the better in their behavior. • Pay attention to what your child responds to. Some children respond to negative reinforcement and others respond to positive reinforcement. Either way, once you are aware of how to motivate your child, you will be able to improve your relationship. By giving them reinforcement they respond to, your child will feel seen, heard, and understood, which is what they ultimately want. • Do frequent self checks to ensure you are being proactive. Most troublesome behaviors have warning signals. Pay attention to these so that you can be proactive and effective at deescalating and defusing behaviors you want to limit or stop. This means being aware of points of conflict and not engaging in ways that create more conflict. • During times of conflict, try taking a mom or dad time out. This means that when you are feeling heated or exasperated, you take time away from the situation to cool down. I advise telling your child what you are doing because this is a great way to teach them about the need to step away from conflicts as a means to stay calm. • Decide what you would like your relationship to look like, and write it down. Once you have your goal in mind, write what behaviors you engage in and what behaviors your child engages in that prevent you from having the relationship that you want. After you identify the behavior that is inhibiting the development of the relationship, pick one aspect of your behavior to change and one aspect of your child's behavior to target for change. • Put some dates on the calendar to track how long you have tried specific changes and what, if any, effect they have had on your relationship with your child. It is important that, as parents, we are aware of what is working (and what is not working) for us and our child. • Trust your instincts. You are your best resource when it comes to your relationship with your child. This can be difficult to keep in mind when things are not going well. Self-doubt destroys motivation. Believing that you can find a way to make things better is a crucial part of the process. Children are powerful and life changing. It is so important that as parents we are able to know we are doing our best to ensure that our children have everything they need. It is an amazing feeling to go to sleep every night knowing that you and your child are on the same team.